Prepaid or reloadable cards are becoming widely popular, for several reasons. One very important reason is the safety aspect. A prepaid card with only a set amount of money available is much harder to abuse than, say, a credit card or cash. 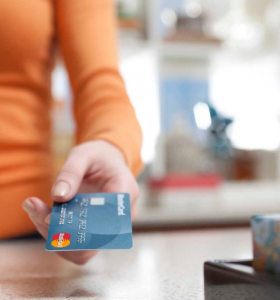 Prepaid Card or Debit Card? 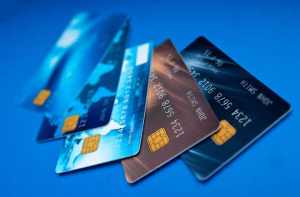 A prepaid card works much the same way as a regular debit card, the main difference being that the card is not connected to an account, but is its own separate entity completely. In use you won’t really be able to tell the difference between a regular credit or debit card and a prepaid card – they work exactly the same way when you make your payment, whether it’s online or physically scanning your card at the store. Where a debit card draws funds out of the connected account, the prepaid card has no contact with the account, as the specified funds have already been transferred to the card itself. Unlike regular credit and debit cards, a prepaid card does not normally have a minimum age requirement, and they also don’t take into account the customer’s credit ratings and financial history. Many cards can be used for direct deposits of pay cheques and government benefits. The card can be bought online, where the buyer will simultaneously be able to transfer funds to the card. The actual card will then be sent to the customer, but it’s often possible to start using the card online, as the customer will be given all the necessary information for online payment. The card can be purchased at a retailer, where it will either be preloaded with a certain amount or the amount can be specified at the register. The card can be connected one-way to a bank account, so that the customer has the option of making a direct deposit from their account, or even from an employer onto the prepaid card. This is one way the card can be used in a similar manner as one would a bank card, as some cards even make it possible for the customer to designate direct deposits. Many customers choose these prepaid cards in lieu of bank accounts and credit cards, or just as an additional option to their already existing bank’s features. It has also become very popular to choose prepaid cards when travelling, as this is when most people experience card fraud and theft. When opting for one of the major card companies, such as MasterCard or Visa, the customer is also guaranteed a worldwide functionality.